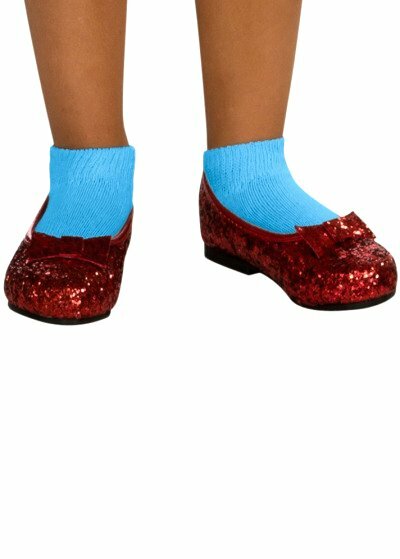 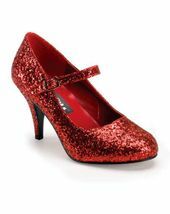 Available Sizes/Colors: Size Small "Medium (12)"
Your little adventurer will look just like Dorothy in these sweet toddler/child size licensed Wizard of Oz ruby slippers! 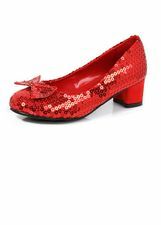 Includes flat style shoes covered in sparkling red glitter, with a round toe, bow accent and black rubber sole. 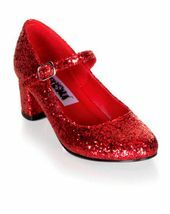 By Rubies. 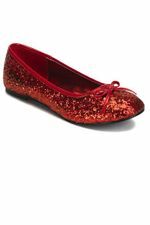 Perfect for your little one's Wizard of Oz Dorothy or Red Riding Hood costume!